Charlie is an adventurous 5 year old who loves to explore! He will work at new skills until he has grasped them – he is both tenacious and determined – whether learning to balance or stealing crackers to share with the other children, Charlie will work to complete any task. 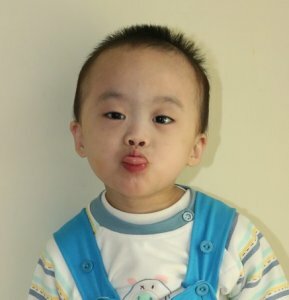 His caretakers report that he is always curious and loves playing with toys. Charlie also has a special curiosity and love for trying on shoes!